To whom no love may decently draw near. Her body lacks perfection, but who cares? She’s not the type who craves the strangers’ stares. Fingers sticky, jam trickling down her chin. Once tasted, doughnuts leave her wanting more. More constant this passion. Her taste buds soar. 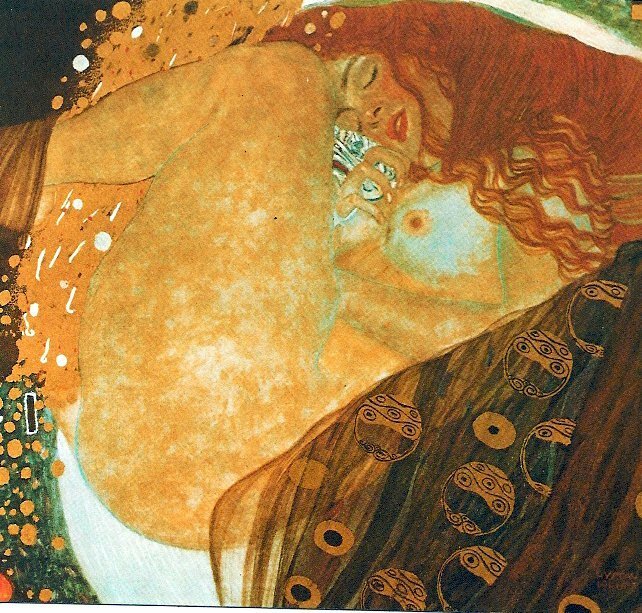 Back to Klimt today. I need something lighter. Don't think I can bear to watch the news!